My dad is quite artsy, and when it's Christmas time he likes to put some of the spray on fake snow on the windows. He is really good at thinking of ideas and making them happen. 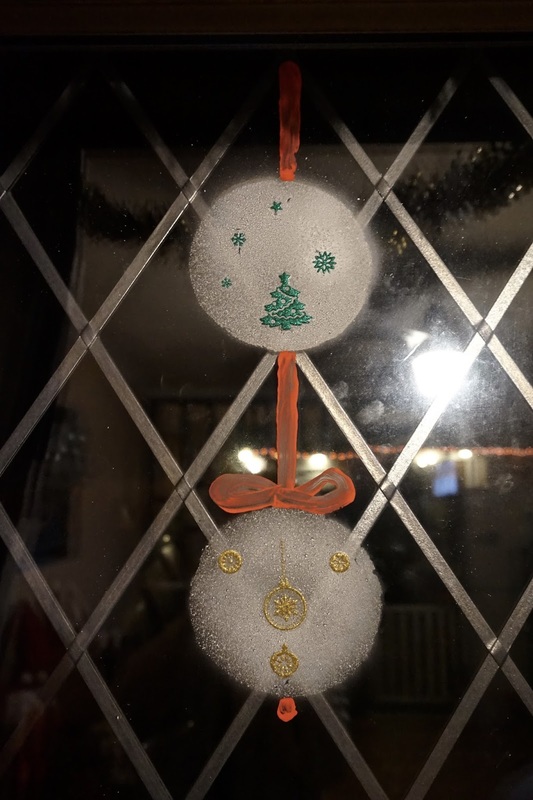 This year her decided to do a couple of snowmen on the windows, along with some baubles. I think these are really nice and quite different to the usual snow at the bottom of the window that you usually see. 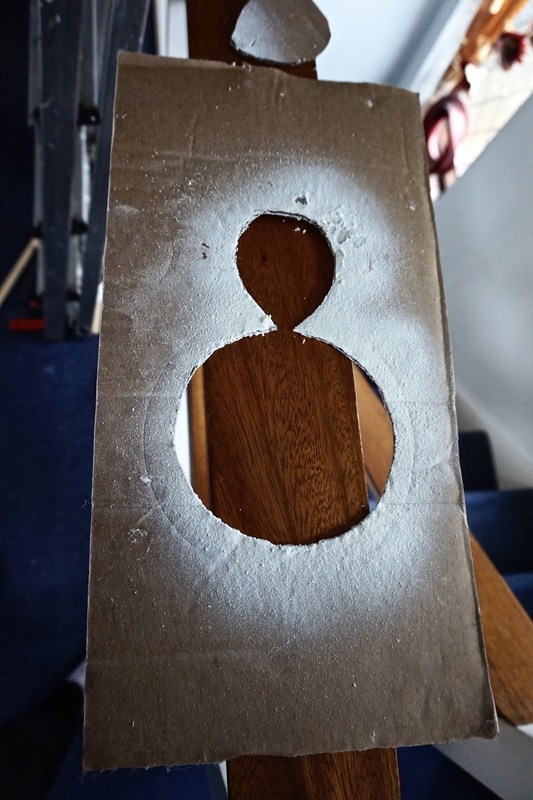 To create a snowman, he got a bit of card and cut out one large circle, and one smaller circle. 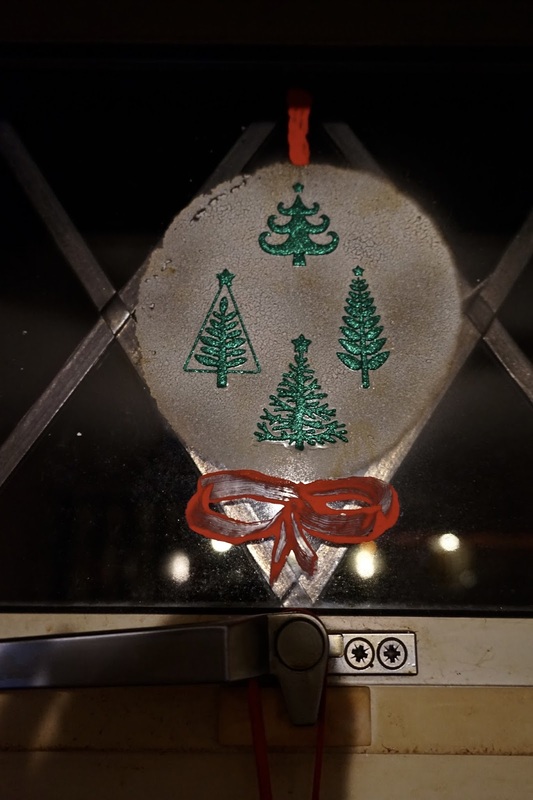 He then placed it against the window and sprayed on the fake snow. 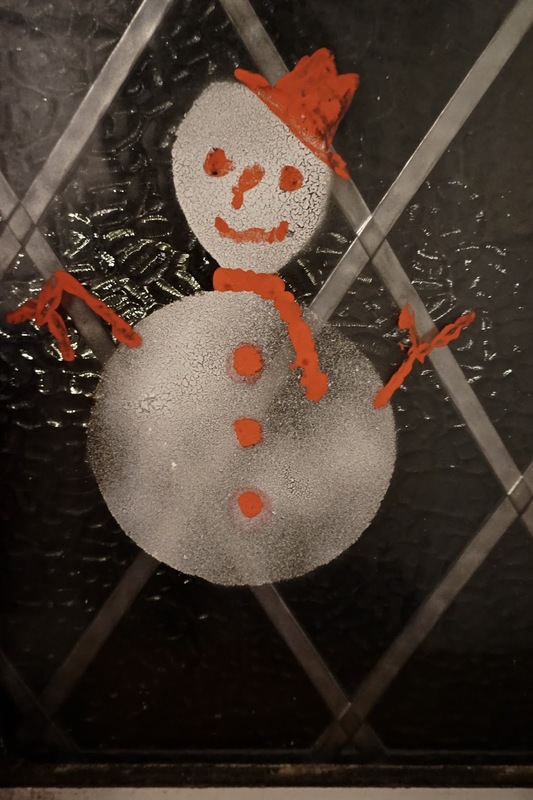 As you can see in the photo above of the snowman, red has been used for his arms, nose, hat and buttons. 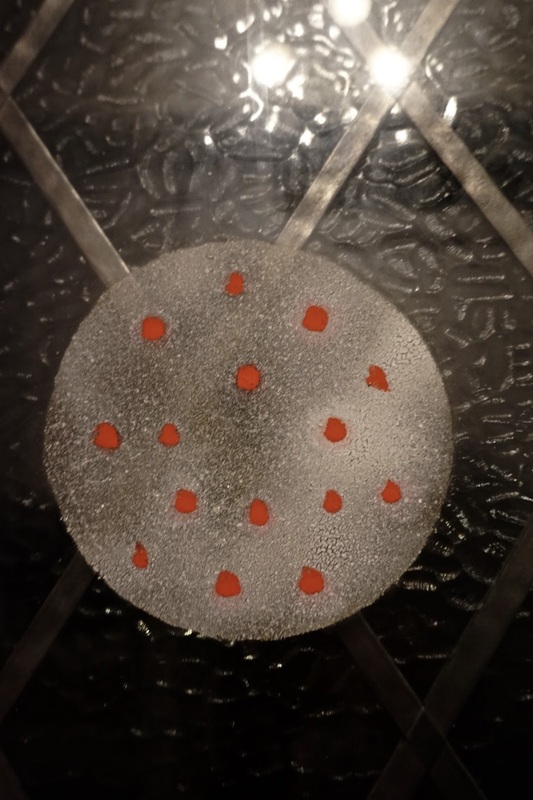 My dad used a paintbrush and some red paint that we had to create this. 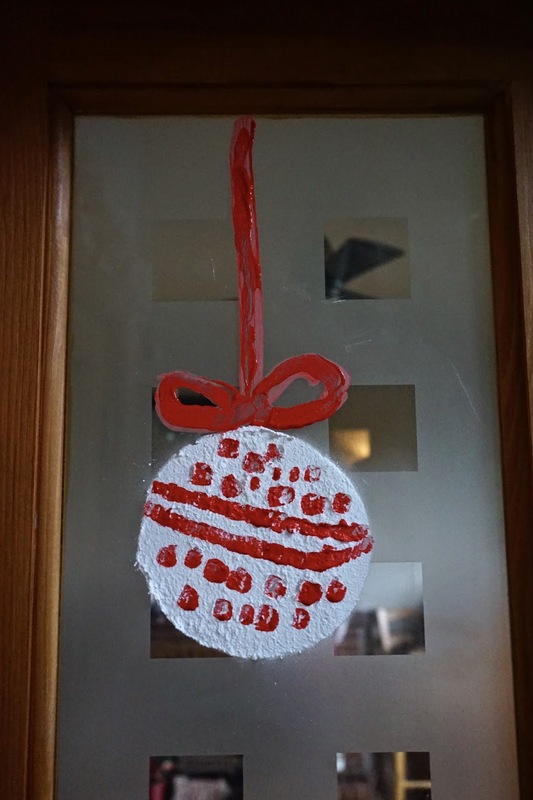 With the baubles, he used the larger circle and sprayed the fake snow onto it and then used a paintbrush and the red paint to create the details of the design on the baubles and the ribbon that's attached to it. 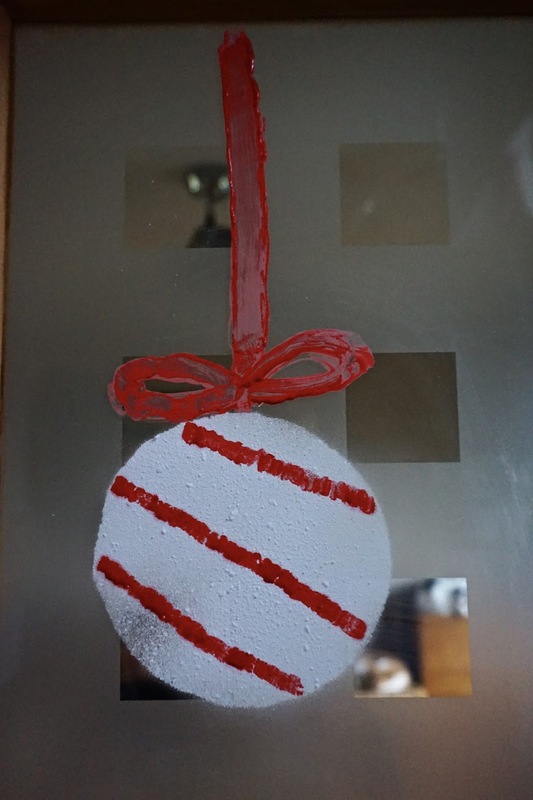 On a couple of the baubles, instead of paint my dad used some festive stickers we had. 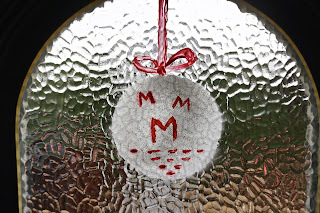 On our front door, my dad decorated this bauble withe the letter M as our surname is Melville. I think this is really cute and it looks lovely front the outside too! Do you ever use fake snow on your windows?